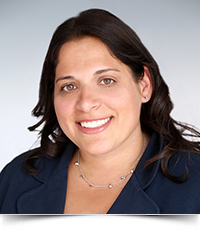 Mandi B. Bucceroni, Of Counsel in the Firm’s Philadelphia Office, dedicates her practice to assisting clients, both individuals and corporations, with a wide range of Immigration and Nationality Law matters. Ms. Bucceroni works closely with clients to review all options of immigration relief and determine the best course of action. Ms. Bucceroni has assisted numerous corporations and individuals with their immigration matters. She is committed to helping foreign nationals navigate the complex immigration process as efficiently as possible. Ms. Bucceroni has extensive experience representing clients throughout their Immigration proceedings in front of an Immigration Judge; assisting clients with immigrant and non-immigrant visa filings; assisting with consular interviews; and, becoming naturalized U.S. citizens. In addition, she routinely assists employers, HR Managers and CEOs, with worksite compliance issues, such as I-9 Compliance Training and Immigration-related government audits. Ms. Bucceroni has more than 15 years of experience in the legal industry, having served as an immigration paralegal to several prominent national law firms prior to attending law school. After receiving her J.D. from Thomas M. Cooley School of Law and her M.B.A. from Rosemont College in 2013, she opened her own firm in Ventnor, New Jersey.